Over the progression of time, the evolution of the human race and ideas change with it. This is quite obvious when you take a look at your photo album or history books dating back to who-knows-when. Whether it be experiences of your own life, or mistakes and successes recorded in the books of history, there are many valuable lessons to be learned. Success is what we all should take pride in, and further improvement makes us even more successful people. But as you flip the coin over and take a look at the failures, do we simply push them aside and forget that it ever happened? Getting your finger burnt on the stove teaches you to watch what you're doing and where you're placing things. Such concepts could also be applied in the world of technology. While in the process of developing the carbonized cotton-thread filament for the incandescent light bulb, Thomas Edison had said, "I didn't fail; I found out 2,000 ways how not to make a light bulb". The process of trial and error is one of the many paths that can be taken in the development of ideas and technology. I'm not exactly sure how some companies get things done, but what I am certain of is that the method of trial and error has been used at least once here and there. What we have today is a fully modular 80 Plus Bronze Certified mid-range power supply from OCZ -- namely, the ZT Series 650W. 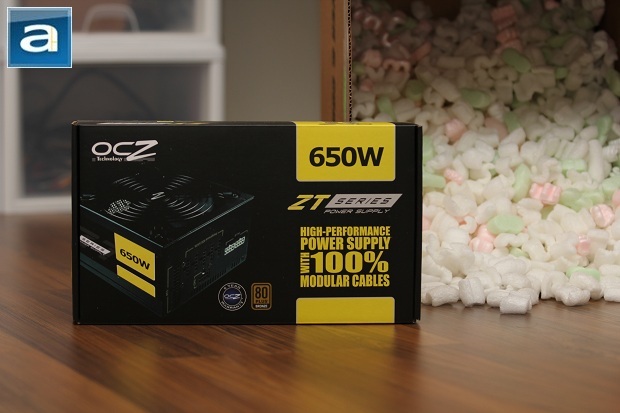 From the looks of it, the ZT Series 650W is a more budget friendly power supply for those that are looking for performance with 100% modular cables. 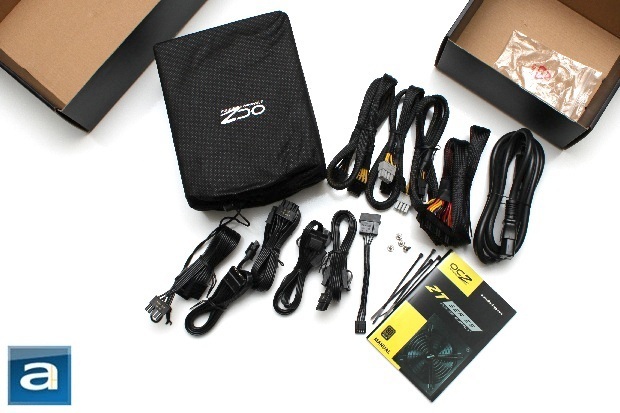 Generally speaking, is the OCZ ZT Series 650W an error or a success? Read on to find out! 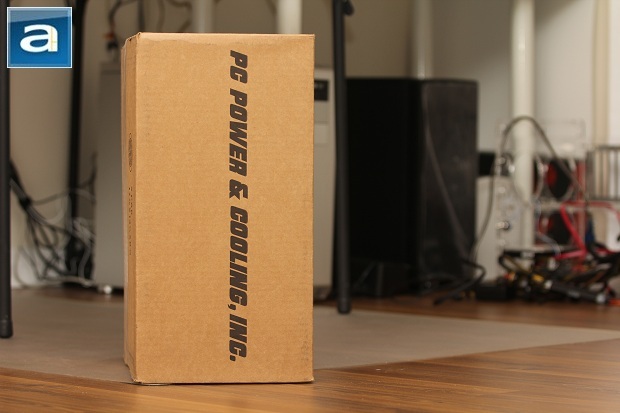 Our review unit of the OCZ ZT Series 650W power supply came in a large brown corrugated cardboard box from OCZ's American headquarters in California, USA via UPS Saver. It landed on our doorstep here at APH Networks Calgary about a day later. Almost anyone would love packages arriving in pristine condition, and the ZT Series 650W is of no exception. On top of that, there were a bunch of packing peanuts that tagged along, as it will be seen in the next photo. You can now be rest assured, because OCZ does take much care in keeping people happy when receiving their products. As the famous Counter-Strike saying goes, you run faster with a knife, so after admiring the packaging for a good minute, I quickly pulled out my utility knife and got straight down to work. Upon opening the flap, you will find the modular PSU in its own special bag. All the appropriate accessories are in a smaller box next to it. You will receive all the necessary modular cables (As specified above), power cable, several zip ties, four extra screws, and a small manual. In other words, there are no excessive accessories here -- just what you need is provided out of the box. posted 13 hours and 18 minutes ago, with 1 posts. posted 13 hours and 19 minutes ago, with 7 posts. posted 13 hours and 21 minutes ago, with 6 posts. posted 13 hours and 23 minutes ago, with 14 posts. posted 13 hours and 23 minutes ago, with 58 posts. posted 13 hours and 24 minutes ago, with 13 posts. posted 13 hours and 24 minutes ago, with 10 posts. posted 13 hours and 25 minutes ago, with 12 posts.